The road to business prosperity is a long and bumpy one, often littered with pitfalls before success comes knocking. It can take several attempts and wrong turns before you choose the right shopping cart that not only works but also meets all the requirements of your online store. And Magento Go users have faced the issue getting the upsetting news about their solution shutdown. However, they don’t need to get out of tune, it is just a new turn in business that can make it more successful and profitable. User-friendly interface. One of the main factors that differentiates its e-stores from the others with advanced and still simple interface. Built-in SEO and marketing tools. The shopping cart comes with several different SEO and promotional possibilities to help e-retailers to sell their products.These include tools such as the ability to send newsletters, offer reward points to the customers and many more. Loyalty Program. The clients get points for every purchase on your web store. In return, they can use them during further shopping. Gift Registry. This option allows the customers to use web site for weddings, showers, and parties gits selection. Home Page Slider. The feature is new and provides with the opportunity to create promotional banners and slides on a home page without coding. Drag-n-Drop Editor. A very easy tool to edit design and make the most marvelous look of the web store. Furthermore, 3dcart is easy-to-use and has many other advantages, that are listed on the infographic below. Also, find out the easiest way to perform migration from Magento Go to 3dcart with Cart2Cart. 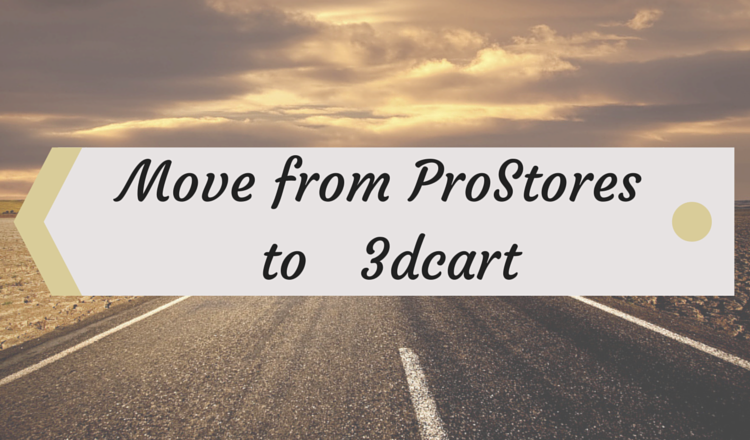 Now, you know how it is easy to migrate from ProStores to 3dcart even without programming skills and expertise. So, don’t delay with the transfer and register a new Cart2Cart account immediately.